Whio (blue duck) are classified as Nationally Vulnerable, mainly as they are susceptible to attack by stoats and other predators. They continue to decline where these predators are not managed, and have disappeared from the southern North Island (i.e. from the Rimutaka, Aorangi and Tararua Ranges). The Ruahine Range represents the southernmost extent of their habitat within the North Island, and is an important area for halting further decline in the distribution of whio. 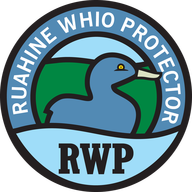 Historically whio were present throughout most of the Ruahine Ranges. Numbers have gradually declined over the years, and without active intervention whio will continue to disappear. Six locations currently receive some predator control via trap networks. These trapping sites rely on volunteers or other community based groups to manage the traps. This site outlines the work we do and our plans for the future.